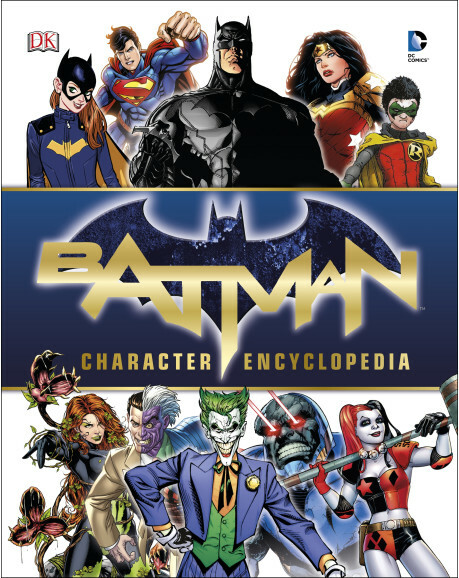 On Saturday, March 19, starting a 4pm, I'll be signing copies of my newest book for DK Publishing, Batman Character Encyclopedia at the Barnes and Noble in the Asheville Mall in North Carolina as part of the Batman v. Superman Day promotion. New on book shelves last month, the Batman Character Encyclopedia is a 208-page guide for the current continuity of the DC Comics Universe, a great primer to Gotham City for fans young and old alike. Check out the sample pages below, and if you're an Asheville Bat-fan, I hope to see you on Saturday! Hey Matthew, this book is really cool. Seems like the cut-off was just before Batman & Robin Eternal. 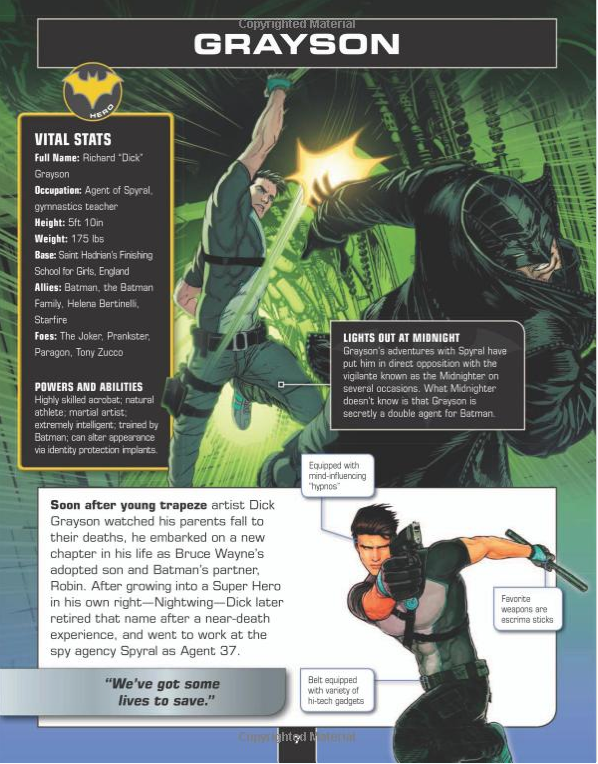 So, it refers to the Reaper who's appeared throughout the New 52 as Benjamin Gruener - did this come from DC? Pretty interesting, I don't think the comics have identified him yet and he's quite an amalgamation of the Caspian version. It's interesting to see all these New 52 characters treated... "encyclopedically" for the first time. 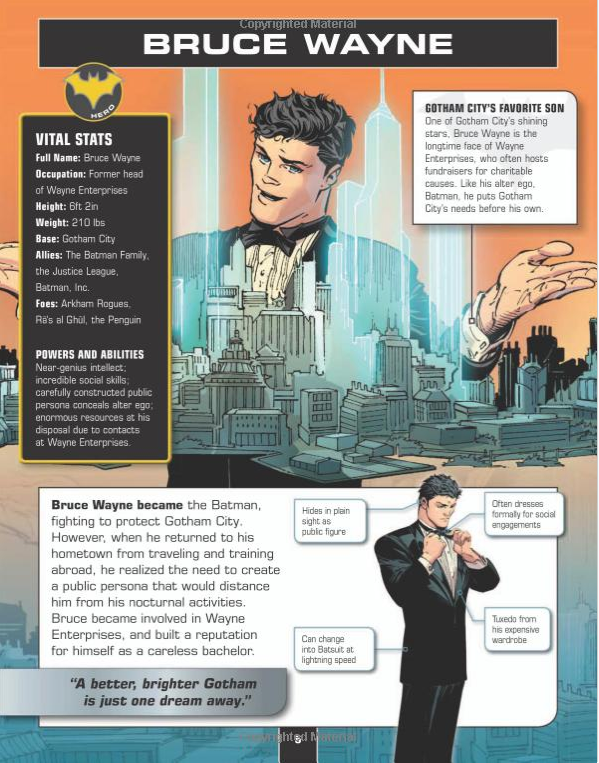 Also, it says Tweedle-Dum is Dumfree Tweed but the New 52 has referred to him as Dumpson... CRISIS INCOMING. Hi! Glad you like the book. My original plan was to include only the New 52 versions of every character, as we've never seen that before in a Batman book. 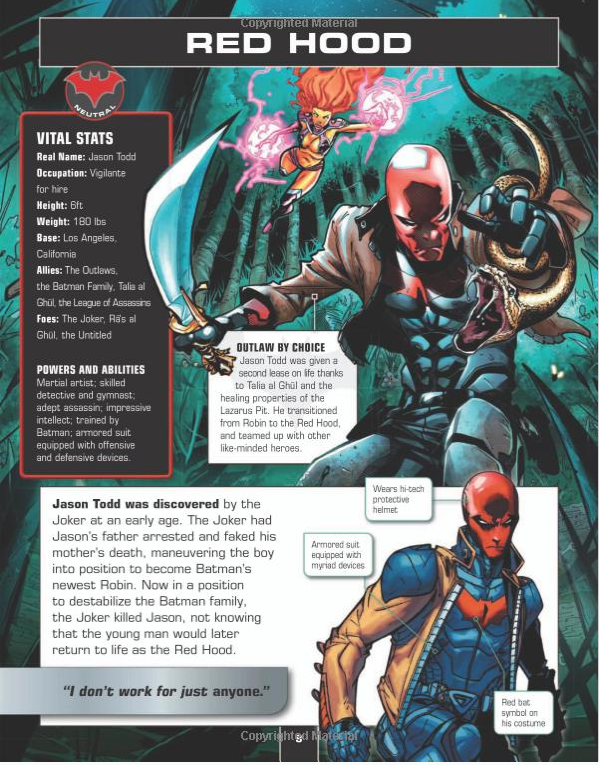 DC Entertainment had a slightly different vision, and wanted to include some Pre-New 52 characters as well. 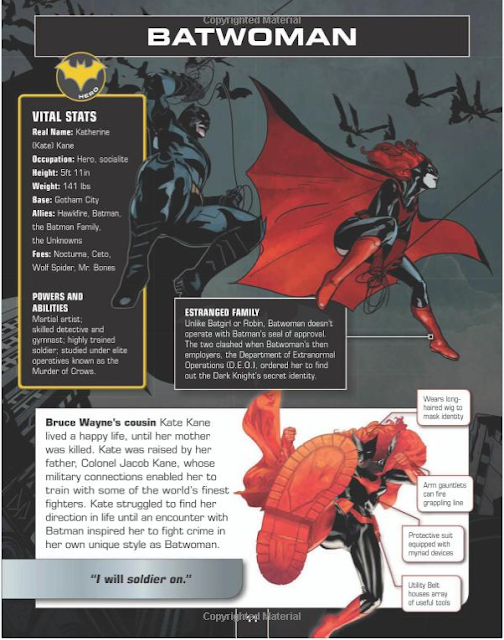 So we included characters like Cassandra Cain, Geo-Force, Metamorpho, and Halo, who have since been reintroduced into continuity with major changes to their history. However, those are also some of my favorite characters in comics, so it wasn't exactly a chore to include them. On the plus side, I've just finished work co-writing the upcoming DC Encyclopedia, and that will cover continuity to the Rebirth event, so it's worth checking out. As to your questions, everything was indeed approved by DC, as was our choice of Reaper. I tried to get a bit of inside info on the New 52 Reaper identity, but it seems that it hadn't been quite figured out yet, so we went with the latest version, as per Tony Daniel's run, even though he was wearing something obviously similar to the Caspian costume. I love Batman: Year Two, so I certainly wouldn't have be disappointed to see Caspian under the mask. You're right about the Tweeds. Nice catch. 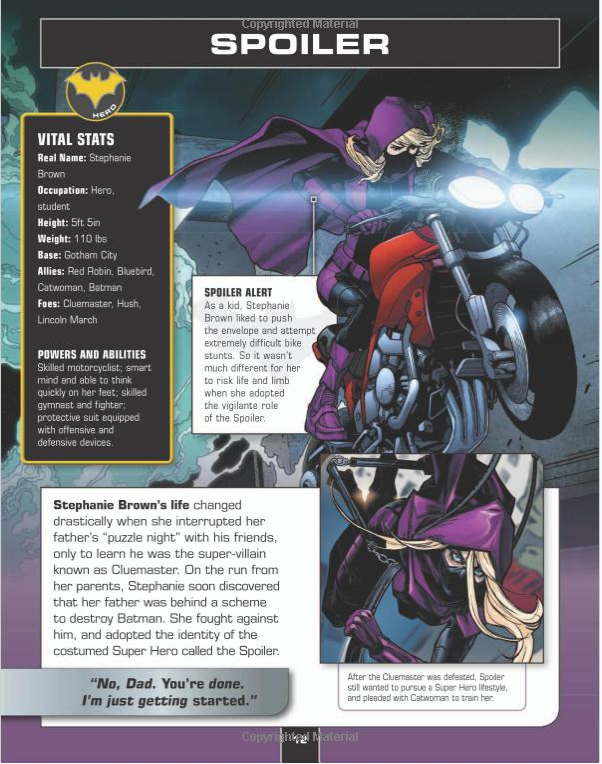 Dumfree was indeed called Dumpson in Detective Comics (Vol. 2) # 8. However, since he was also called Tweedle Dum (two words) and then later in Batman: Dark Knight Tweedle-Dum, instead of the more accurate Tweedledum, I'd take that change with a grain of salt. He'll probably be back to Dumfree soon enough. Maybe Batman was just giving him an adorable nickname! Rest assured, if I had a no-prize, I'd be sending one your way! Thanks for writing! 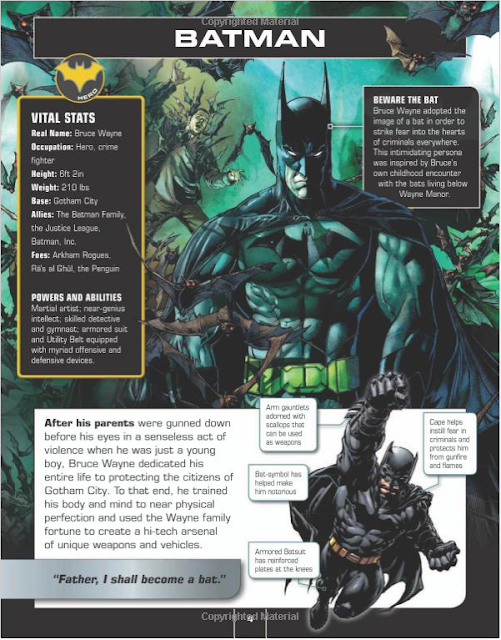 Hehe, actually, it was Batman: The Dark Knight #8. :) Thanks for the neat inside info! 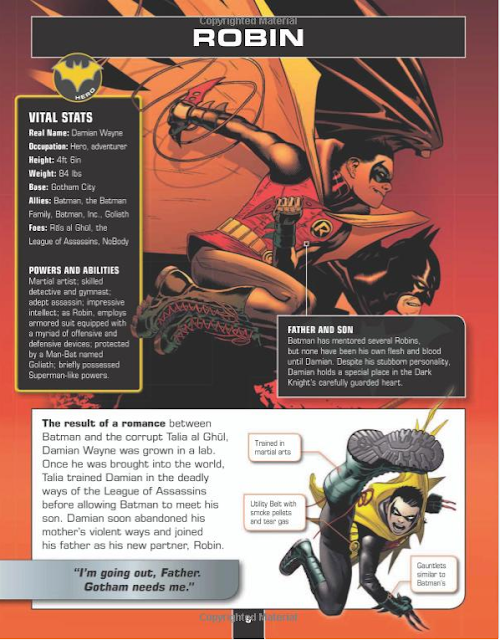 Definitely looking forward to the new DC Encyclopedia.